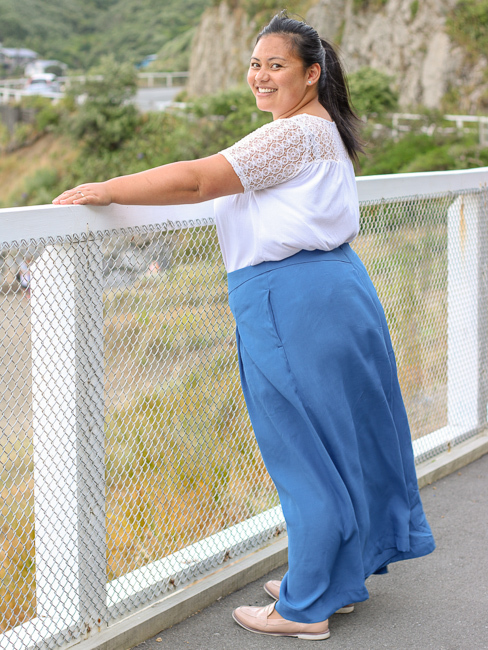 Meet the Scroop Eastbourne Trousers! 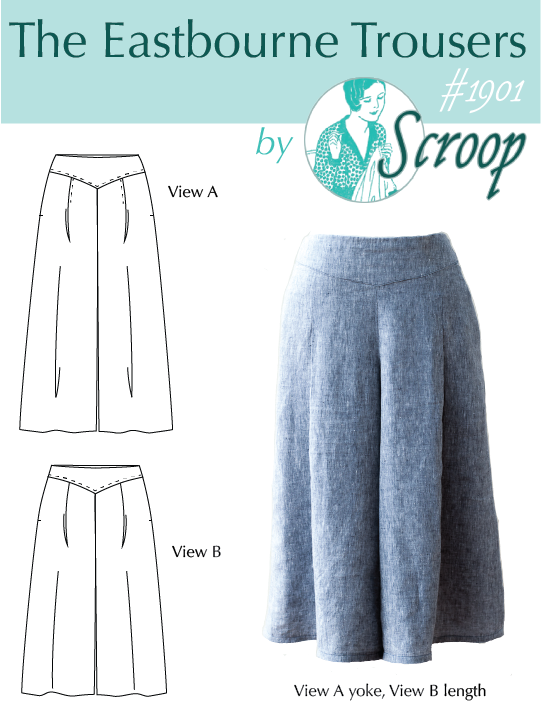 Meet the newest Scroop Pattern: the Eastbourne Trousers! 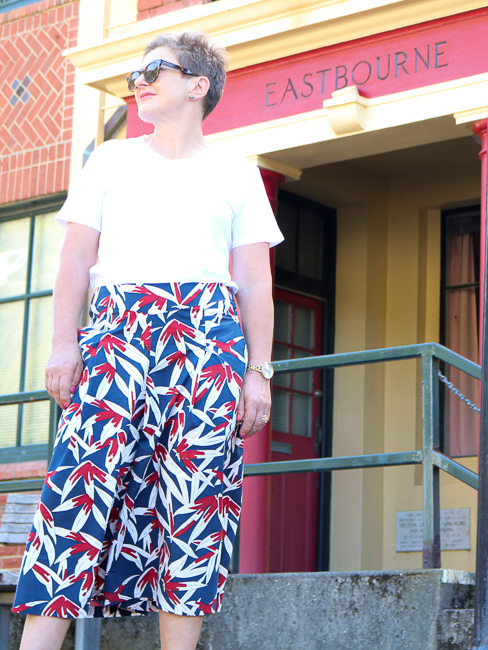 With two lengths, two yoke options, the ability to go from casual to work to glam depending on the fabric, really clever sewing techniques that deliver a lot of impact for your much sewing effort, and HUGE POCKETS, these are pretty awesome trousers! 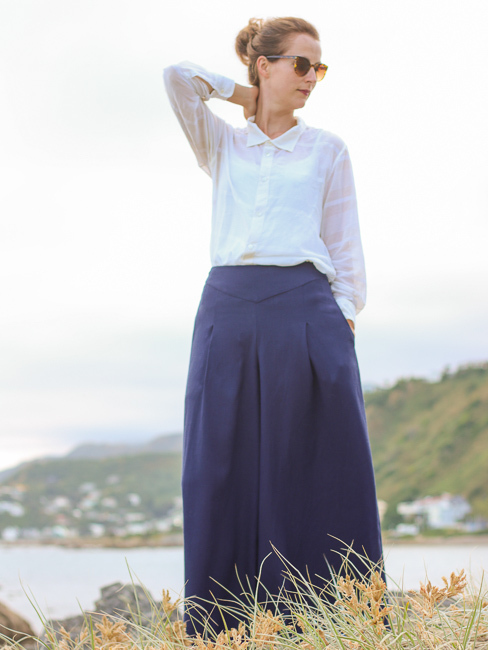 The Eastbourne Trousers are named for the lovely coastal suburb of Eastbourne, which sits on the eastern shore of Wellington Harbour. The area is famous for its forests of native plants, beautiful bays, cute period cottages, and sheltered beaches. It was a popular summer retreat for well-off Wellingtonians, including Katherine Mansfield’s family, in the late 19th and early 20th century, and is still an ideal place to escape the pressures of city life. The areas vintage charm and relaxed feel are perfectly captured in the Eastbourne Trousers. Thank you for having a plus-sized model! And this is from someone who isn’t even plus sized! Yes, it’s so nice to be able to think “what will this look like on me” and then have a model to help work it out. I love the waistband yoke of these! Ys, another one hallelujahing about a plus-size model – it’s SO tricky trying to work out what will work on me when I can only see it on someone in the usual High Street size-range – so thankyou to you, but also please thank your model too, from another plus-size woman! Yayyy! Now I have plenty of motivation to clear the decks of pre-existing projects (who knows how long those will take? ), so I can settle down to a) a Fantail Historical and b) a pair of these. It’s quite a buzz having a garment named after somewhere I’ve often been – I live in Lower Hutt, and Eastbourne’s the nearest good beach. And by good I mean not composed entirely of stones. I didn’t realize till I moved to NZ that a beach didn’t necessarily involve sand. Painful awakening, let me tell you. Those look like 1930s “beach pyjamas”. Very nice. And in gold lame, they would be good cocktail trousers. Black velvet. Actually, I think these would look beautiful in either drapey-type fabric (silk jersey? A girl can dream) or more robust fabric (shantung?) Squee!!! Congrats on another pattern! And this pear-shaped lady loves them. Perfect! Loved long summers afternoons in Eastbourne when I lived in Wellies and I love me these pants! Ooohhh! I love them. I need to find a way to clear my sewing slate. Hooray!! I’m in the mood and need to make some slacks for work, and as a typical skirt wearer, these are the perfect foray into pants patterns! Also another Thank you for having diverse models!